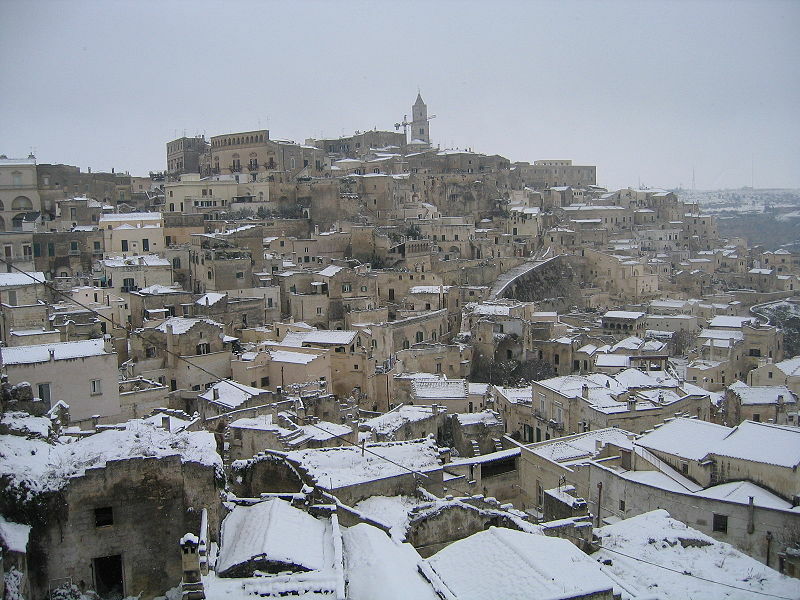 The Sassi di Matera situated in the old town, they are composed of the Sasso Caveoso and the later Sasso Barisano. The Sassi di Matera (meaning "stones of Matera") are prehistoric cave dwellings in the Italian city of Matera, Basilicata. Situated in the old town, they are composed of the Sasso Caveoso and the later Sasso Barisano. The Sassi are houses dug into the tufa rock itself, which is characteristic of Basilicata and Puglia. Many of these "houses" are really only caverns, and the streets in some parts of the Sassi often are located on the rooftops of other houses. The ancient town grew in height on one slope of the ravine created by a river that is now a small stream. The ravine is known locally as "la Gravina". Until the late 1980s this was considered an area of poverty, since these houses were, and in most areas still are, mostly unlivable. Current local administration, however, has become more tourism-oriented, and has promoted the re-generation of the Sassi with the aid of the European Union, the government, UNESCO, and Hollywood. 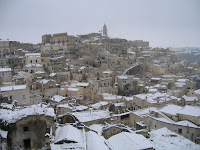 The best season to visit Matera is between the months of May and July. The weather is still beautiful and chaos of Italian mass tourism in August has not yet peaked. If you do not wish to be led around by a local guide (some of whom speak English and can help you to discover unknown sites in the ancient city), you can purchase a typical tourist guide book or get useful information from many Internet resources.